I love sensory play ideas for kids, actually my kids adore sensory play but I’m never going to be the mum that plonks her kids down in a bowl of baked beans in the name of messy play. Nope, never. I’ve shared a mess free autumn tree craft before and today I thought I’d update it with an Earth Day theme. It’s the perfect way for smaller kids to have some sensory fun without you having to panic about all the tidying involved. 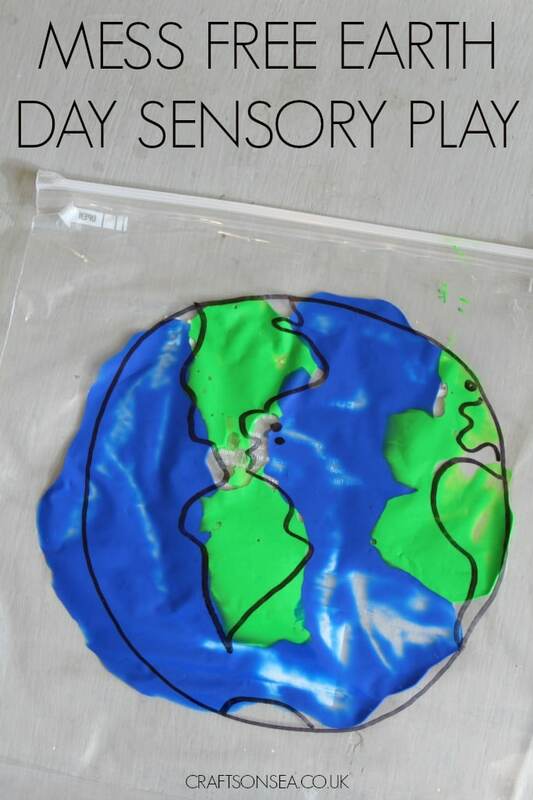 To make your mess free Earth Day sensory play take your ziplock bag and on the blank side draw a picture of the earth using your black pen. These dry pretty quickly but I’d give it a couple of seconds to dry completely. Open the bag up and carefully add some splodges of green and blue paint to where the Earth picture is, don’t worry about this being a perfect representation of our planet as you’ll want it to be something to play with not just something to look at. Close the ziplock on the bag back up and you’re ready to go. If you are giving this to a very young child to play with you might want to seal the zip with some selotape or packing tape just to be extra careful that no paint comes out. 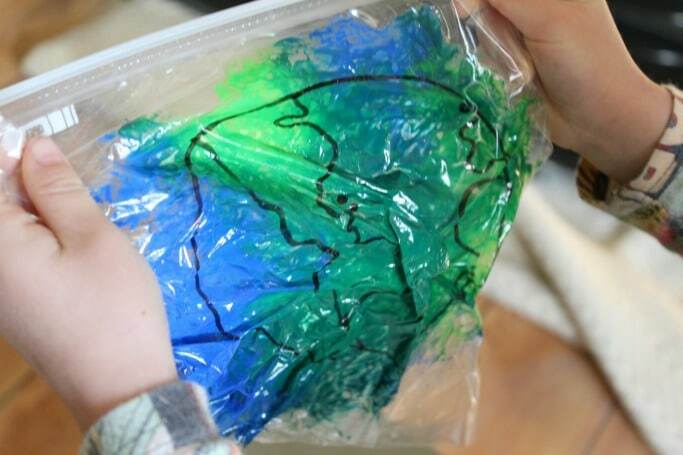 Although this is designed with younger kids in mind, both of my kids aged 3 and 6 really enjoyed playing with this, squeezing the bag and trying to change the colour paint on all of the continents. 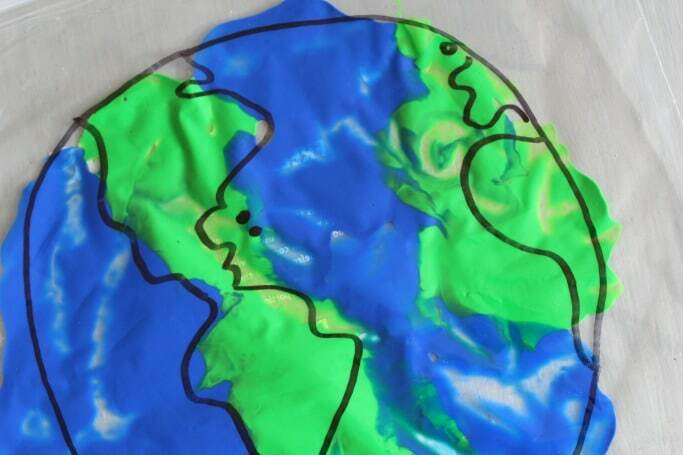 Have fun squishing the paint around and making your planet! Like this activity? Make sure you pin the image below! I love the idea of ‘neat messy play’! I always hated the cleaning up after messy play so this is a fab idea!